1. 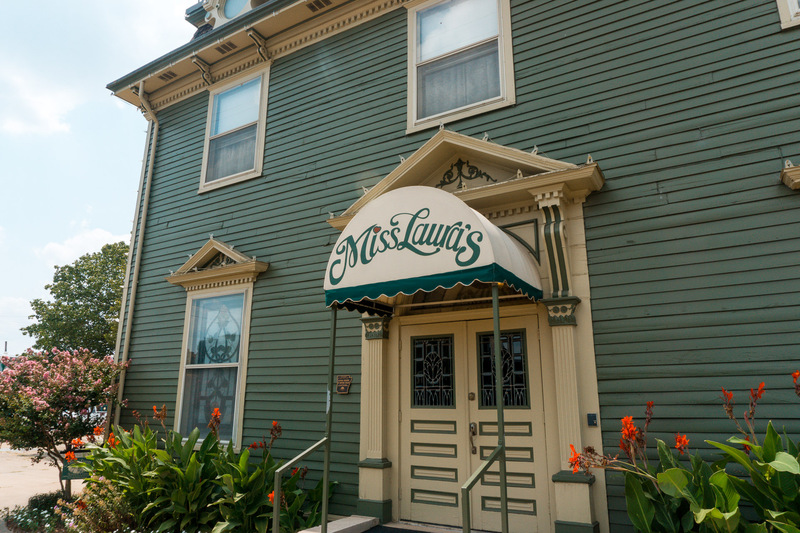 Learn the story behind Miss Laura’s Social Club. 2. 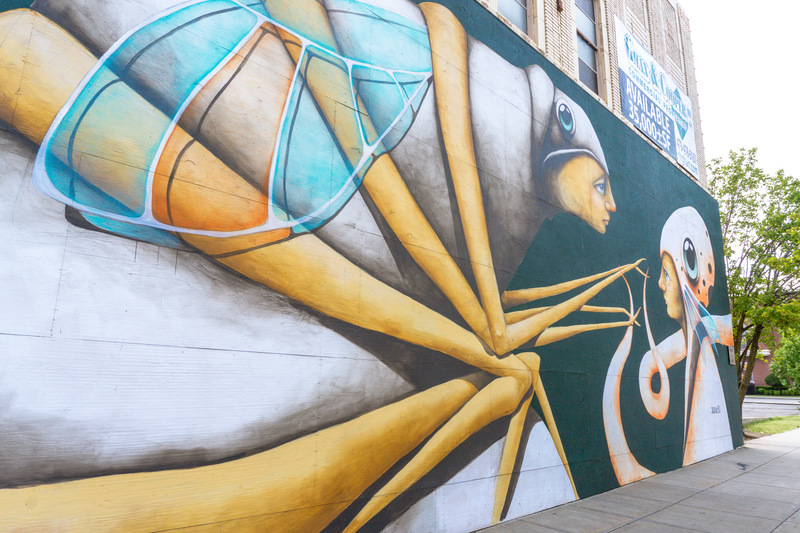 Open your eyes to a new world of urban contemporary street art at The Unexpected Murals Project. 3. 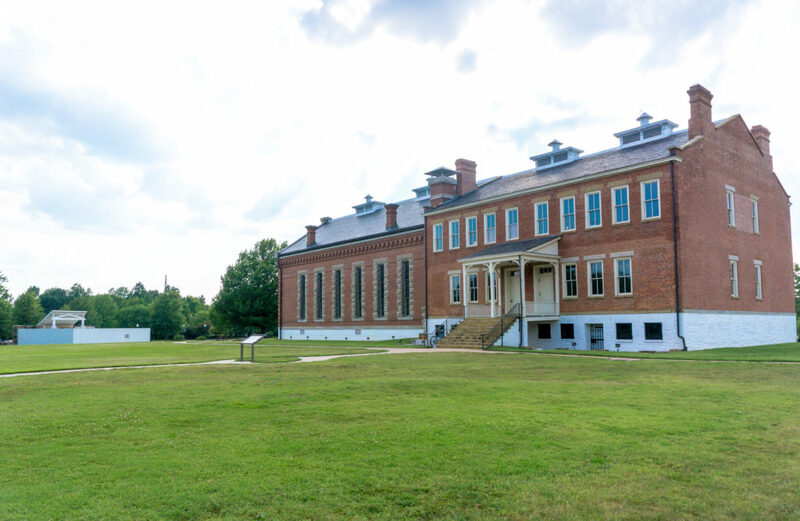 Immerse yourself in history at the Fort Smith National Historic Site. 4. Enjoy cheap thrills at The Park at West End. 5. Experience the local tradition of the Fort Smith Little Theatre. 6. 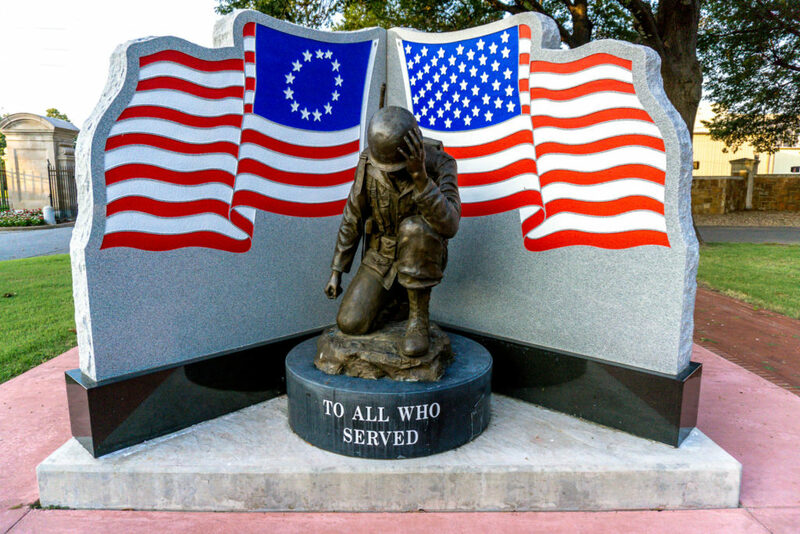 Pay respect to U.S. heroes at the historic Fort Smith National Cemetery. 7. 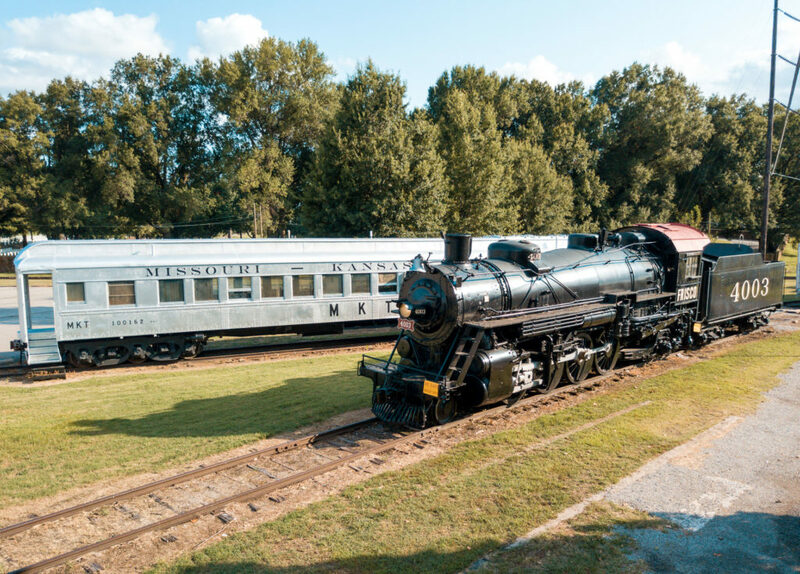 Enjoy a leisurely ride and some interesting facts at the Fort Smith Trolley Museum. 8. 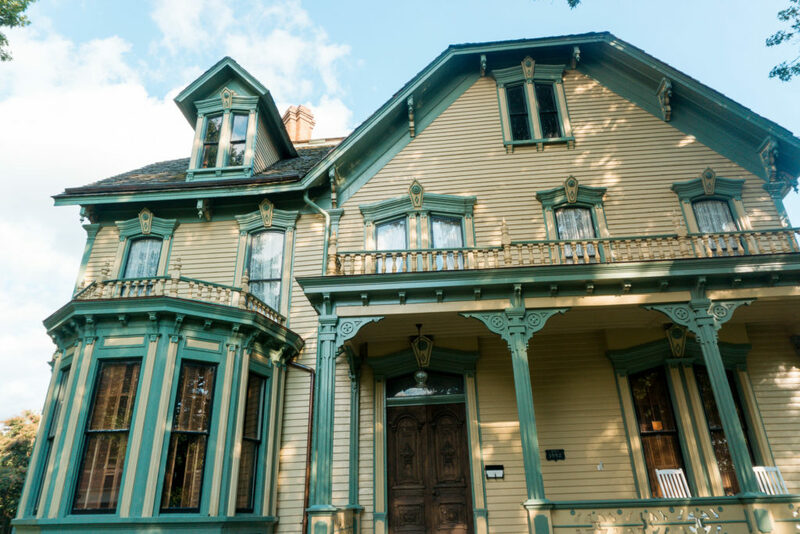 Discover the man who helped bring order from outlaws at The Clayton House. 9. Become inspired at Ana Maria’s La Colmena Art School. 10. 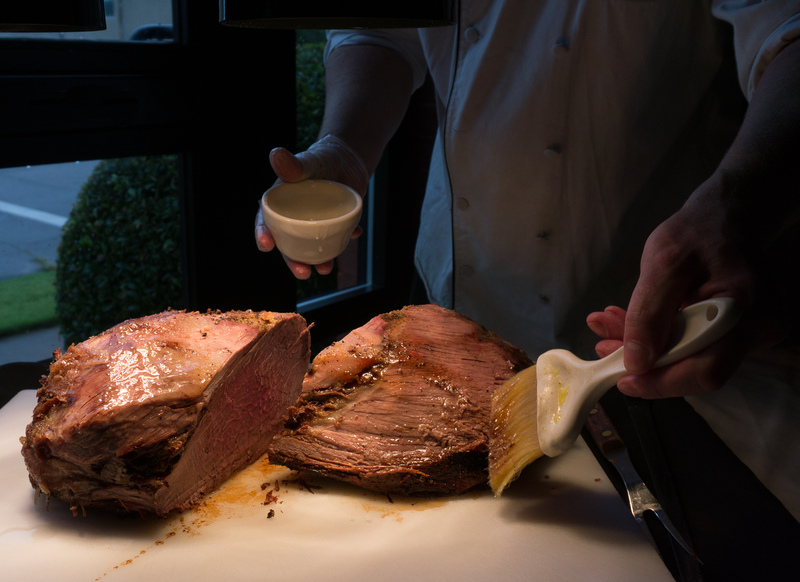 Enjoy the charming family traditions and impressive dining options of Taliano’s Italian Restaurant. 11. 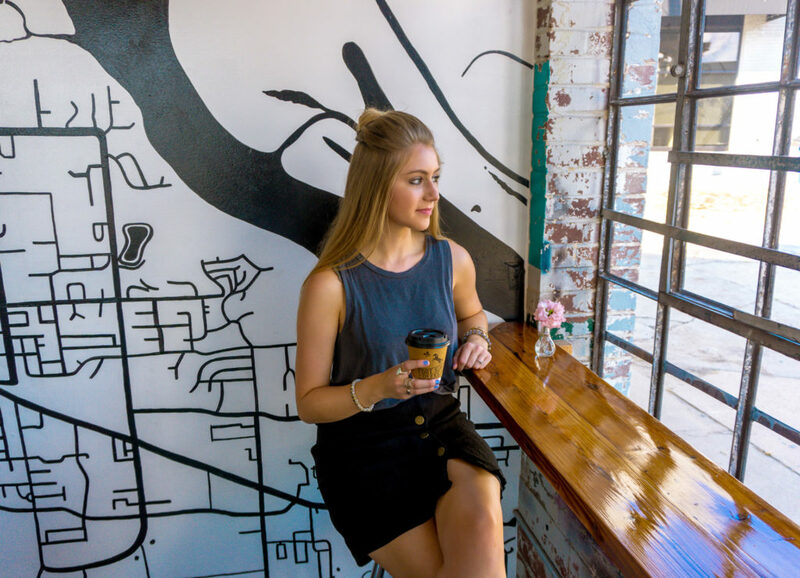 Stop for a sweet treat or an afternoon pick-me-up at Fort Smith Coffee Co.
12. 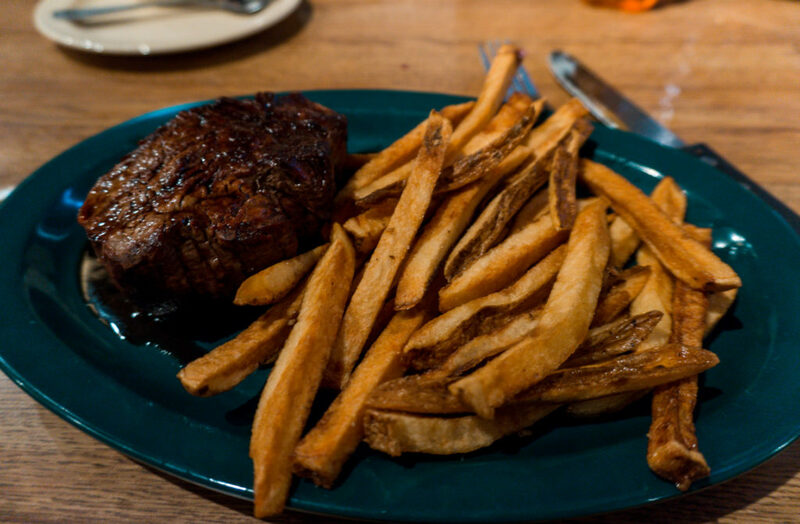 Smother yourself in the delectable steaks at Doe’s Eat Place. 13. 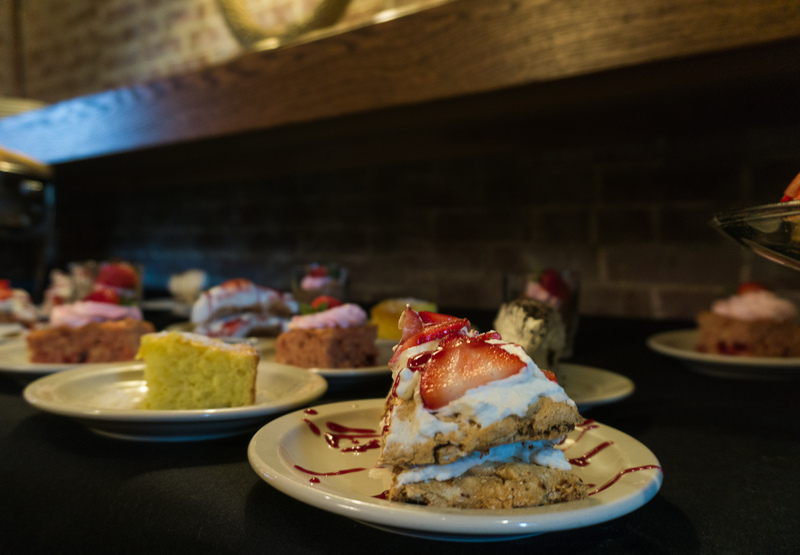 Enjoy Southern-Style cuisine and homemade cinnamon rolls at Calico County. 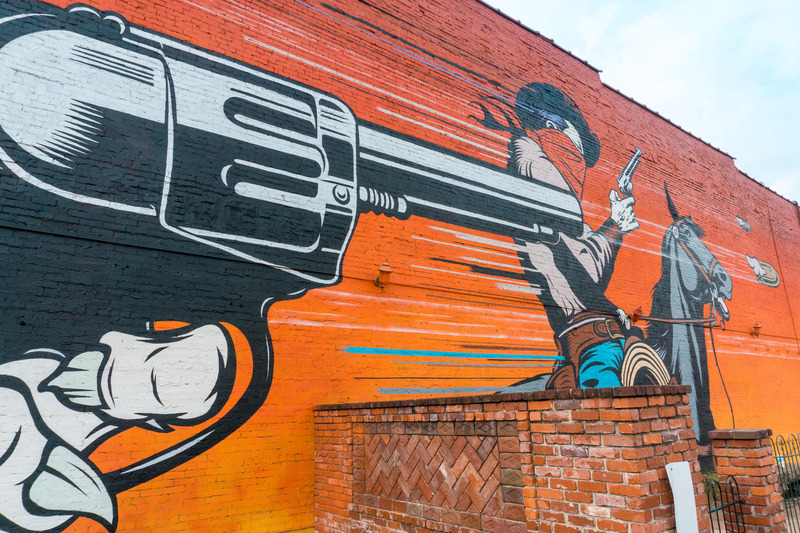 We warmly welcome you to Fort Smith, Arkansas “where the New South, meets the Old West.” You’re sure to find the history of Fort Smith charming and the contrast between the old and new perfectly balanced. 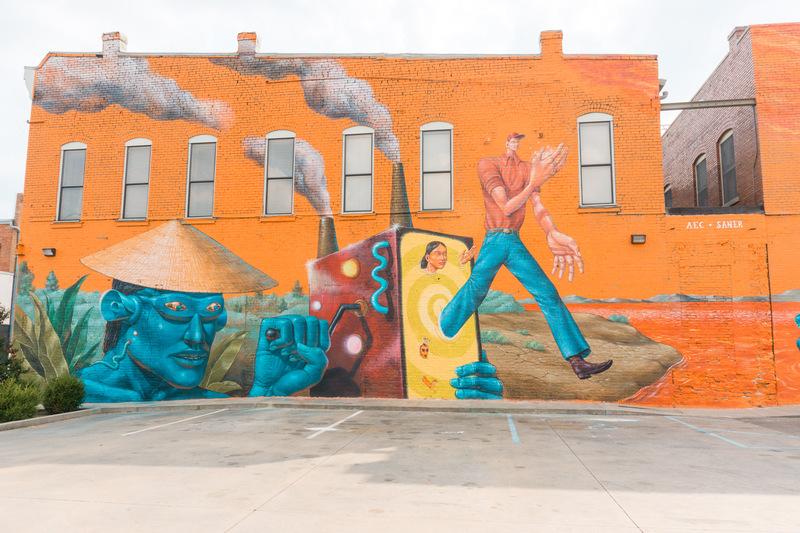 Recently Downtown Fort Smith has been revamping many of its historical sites and sprucing up the buildings with colorful street art. 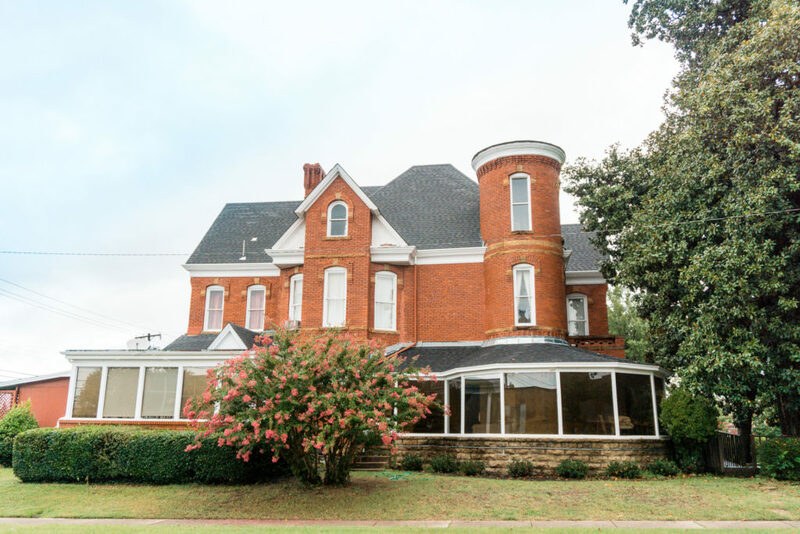 Citizens of Fort Smith embrace the history of their town and it will be easy to fall in love with as a visitor as well. 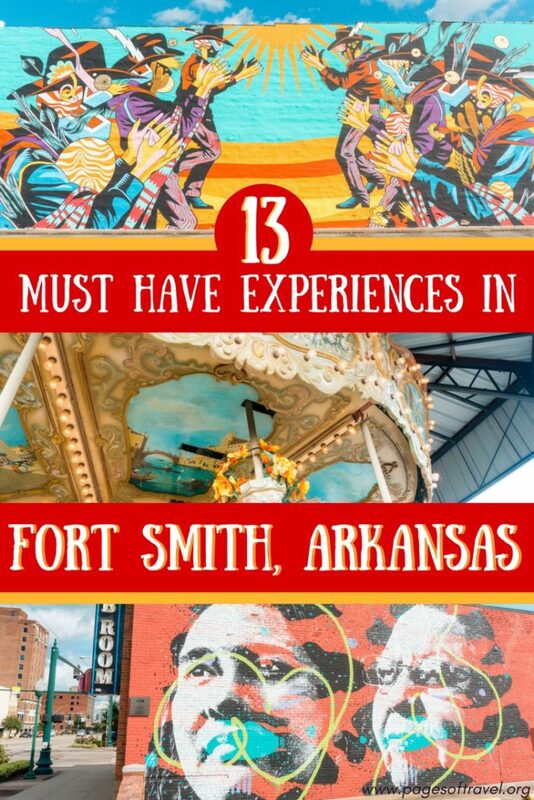 These things to do in Fort Smith, AR plus places to visit, eat, and stay are perfect for your weekend trip to Fort Smith! 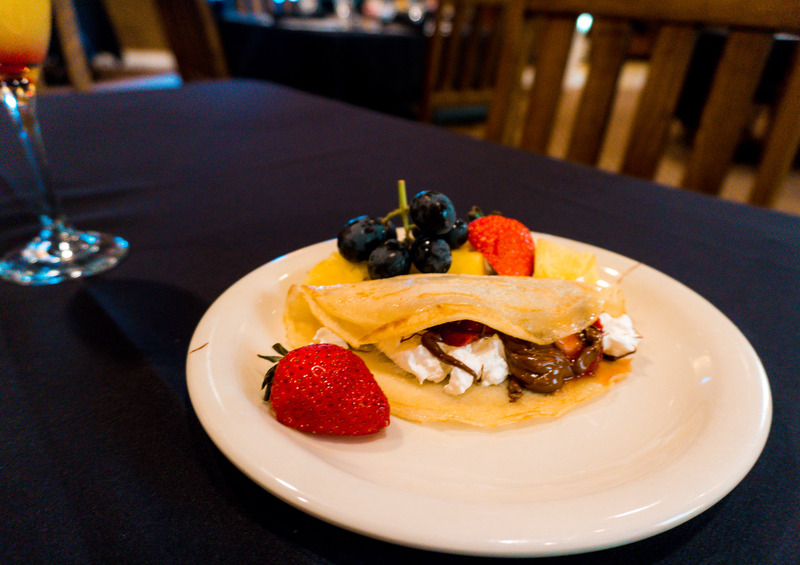 Disclaimer: We want to thank the Fort Smith Convention & Visitors Bureau for inviting us as their guests. As always the thoughts and opinions expressed here are entirely our own. 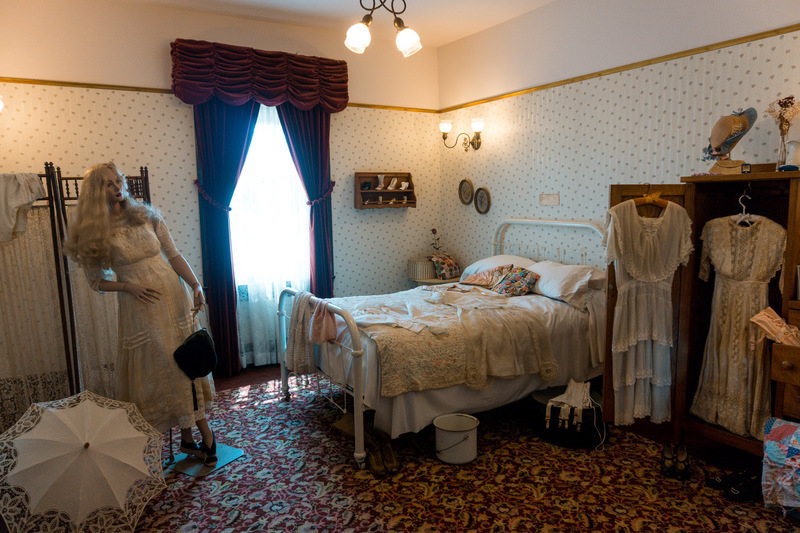 In 1898, Miss Laura Ziegler went to a local bank and borrowed $3,000 to renovate the former Riverfront Inn, a commercial hotel that had opened in 1896. 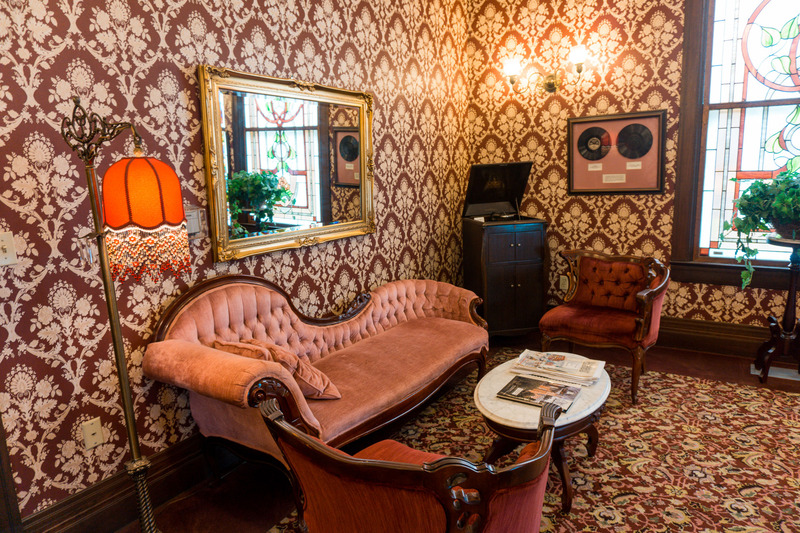 In 1903 she reopened as Miss Laura’s – an upscale bordello. Then, in 1911, she sold Miss Laura’s to Bertha Gale Dean, an employee, for a whopping $48,000 (talk about a markup)! Bordellos were legal in Fort Smith until 1924 but Bertha did continue her business at Miss Laura’s for much longer than that – some even say until 1948! 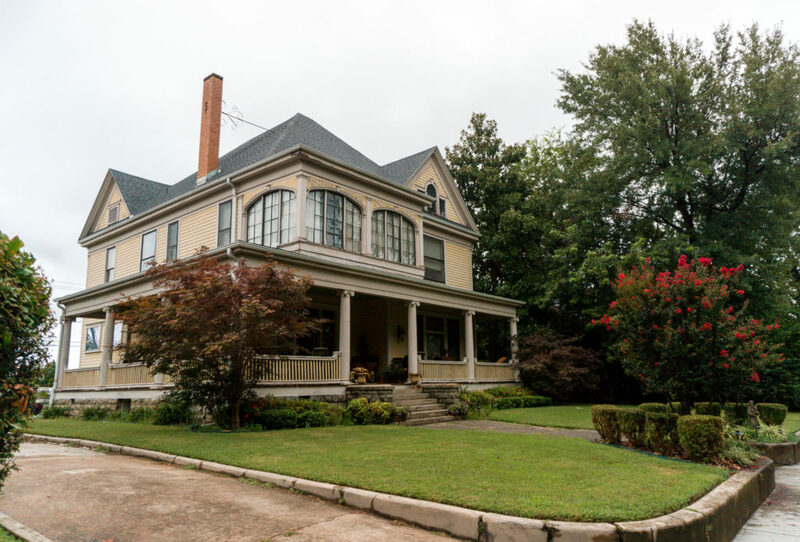 Miss Laura’s was considered to be the “grandest bordello in The West” and the most upscale of all seven “row houses” in Fort Smith. It was also the first former bordello to be listed on the National Register of Historic Places. It now serves as a unique visitor center and offers daily tours. 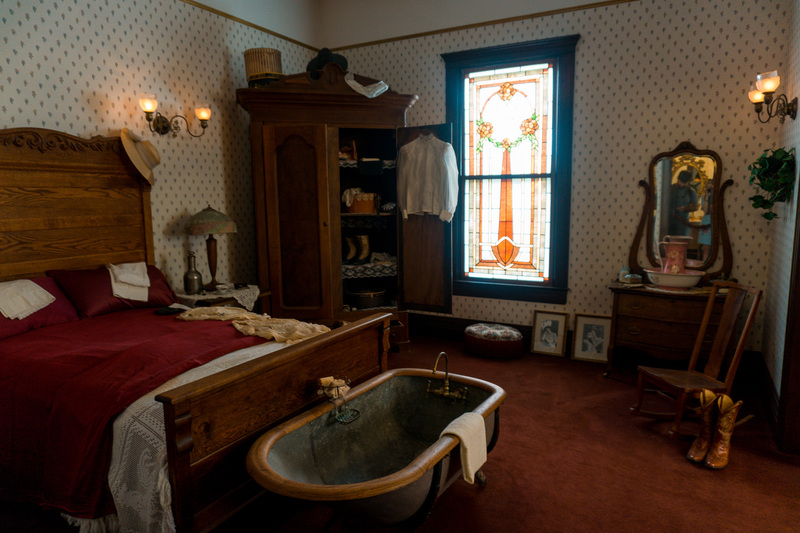 We won’t spoil the rest of the tour for you, you’ll have to go for yourself to hear the story behind this fascinating piece of history at one of the most interesting things to do in Fort Smith, Arkansas. 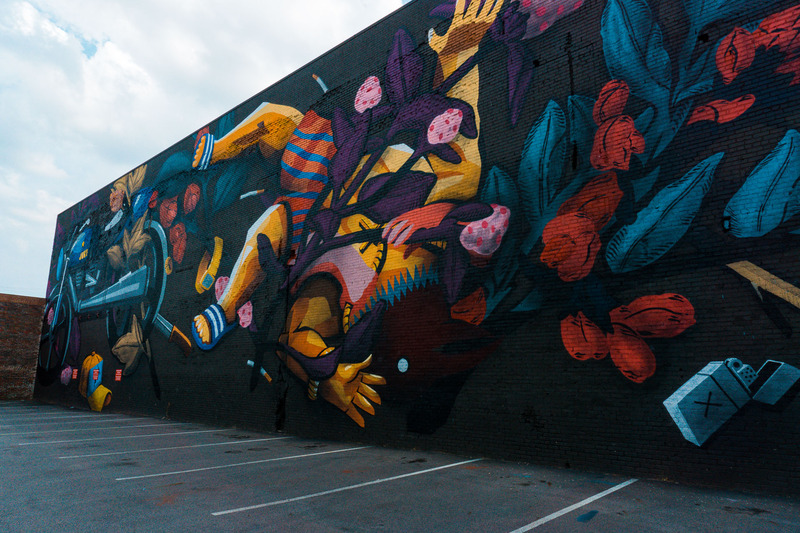 Each year Fort Smith invites artists from around the world to contribute an urban contemporary art piece to the Downtown Fort Smith area. 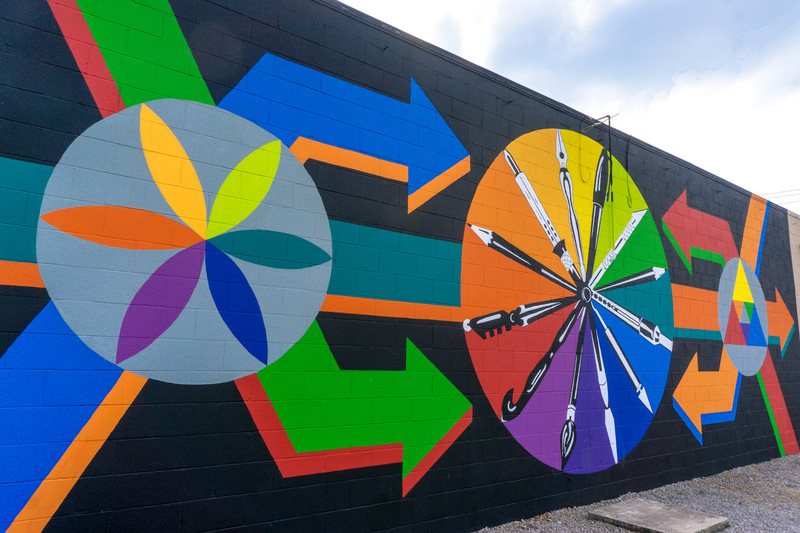 So far they have added over 20 pieces of art, ranging from outdoor murals to indoor exhibits. 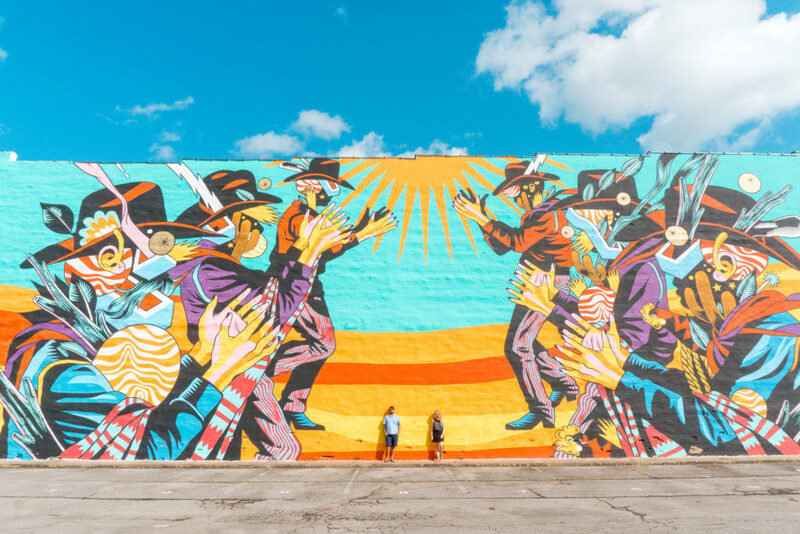 Prepare to be blown away by the unique designs and thought-provoking statements in a city that was named as one of the Top 8 Surprising Cities for Street Art by AFAR. During the course of 21 years, Judge Parker sentenced 160 men and women who had been found guilty of murder or other serious crimes. Of this, 79 men were executed on the gallows, as Judge Parker did not believe in hanging women. 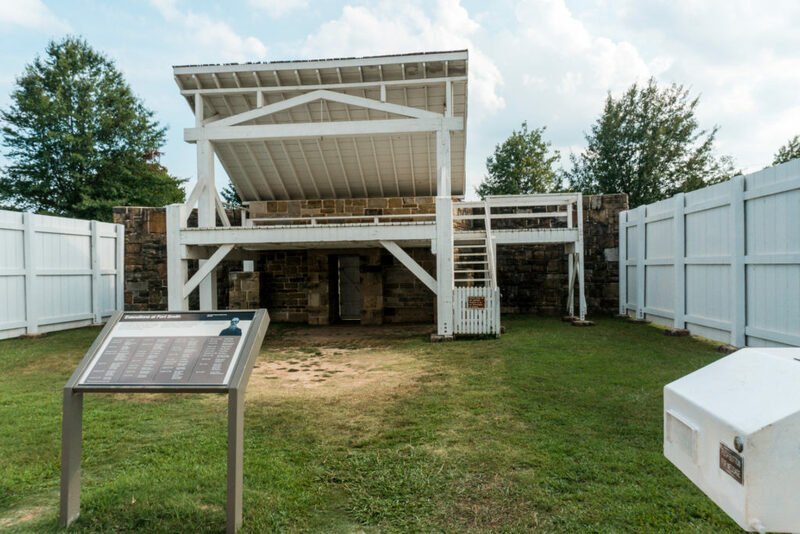 Today you can visit the courthouse and gallows and learn about the history of the infamous “Hanging Judge” at one of the most historic things to do in Fort Smith. 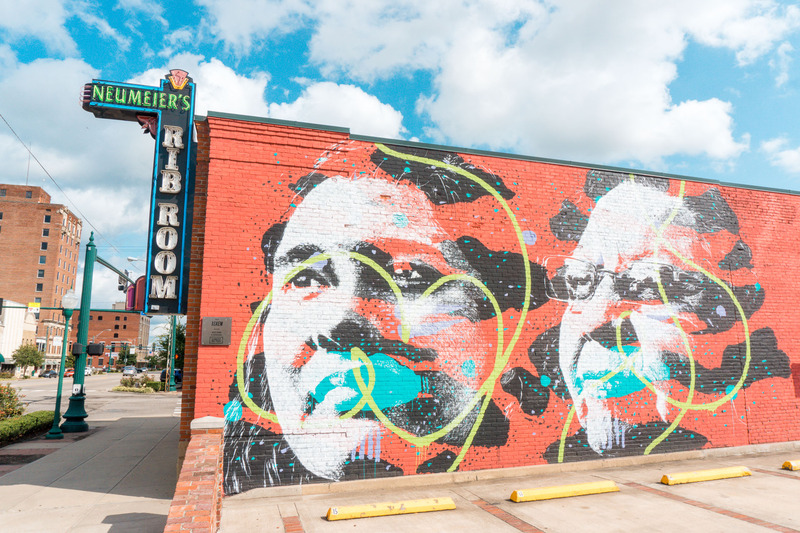 Also located here, you’ll find the Trail of Tears Path which follows along the Arkansas River and leads visitors on a paved path with intriguing informational panels that tell the tale of the Five Civilized Tribes. The path ends at the Trail of Tears Overlook at Belle Point where you can also see the ruins of the first Fort and enjoy the scenic views of the Arkansas and Poteau Rivers. In 2016 this site was named on the “Top 50 Historic Spots Worth Traveling For,” by FlipKey. So it’s safe to say it’s a site you cannot miss! This quaint downtown park will allure you with a fantastic view from the antique Ferris Wheel that was from the 1935 World’s Fair in San Diego. It is powered by a steam engine that is over 100 years old! 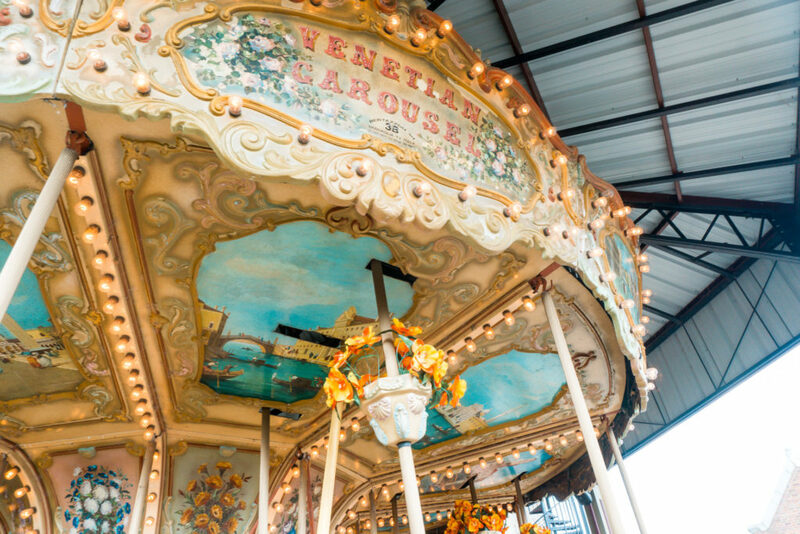 The park is also home to a vintage carousel that was hand-painted in Treviso, Italy that you can ride for $1 and an old rail car that has been converted into the “Nickle and Dime” Diner, and a double-decker street bus that serves concessions. 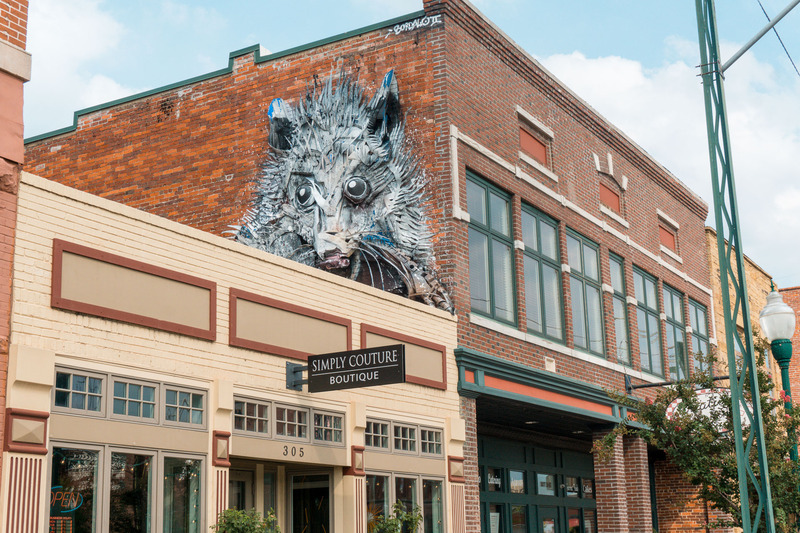 Looking for something out of the ordinary to do in Fort Smith? Get tickets to The Fort Smith Little Theatre. 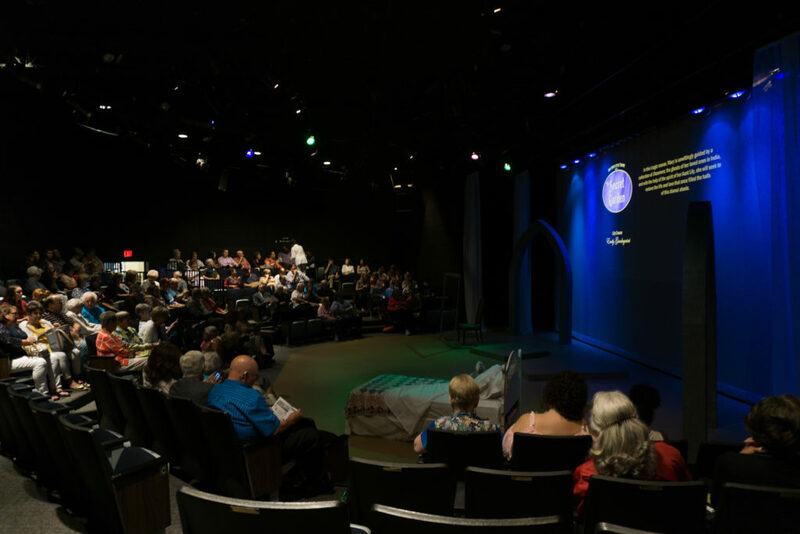 Since 1947 The Fort Smith Little Theatre has offered different community theater performances year-round in a small intimate setting. Be entertained by a musical or theatrical performance like Sense & Sensibility, The Secret Garden, Making God Laugh, The Odd Couple, and much more! 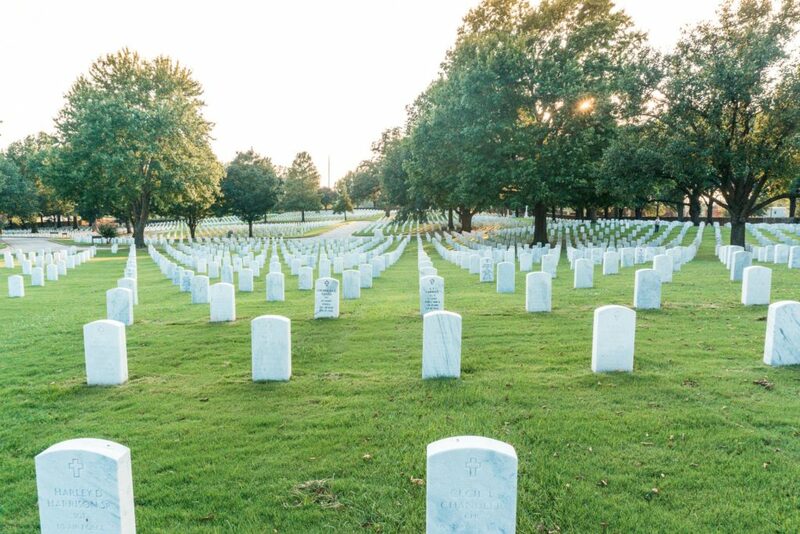 Visiting the Fort Smith National Cemetery is another one of the historic things to do in Fort Smith. Needless to say, viewing the gravesites is extremely humbling. The notable Judge Isaac C. Parker (the “Hanging Judge”), who was also a veteran of the Civil War, is buried here as well. In 1883 the Fort Smith Railway Company began operations with only three mule-drawn railcars. Ten years later the first electric streetcar was introduced changing transportation in Fort Smith forever! This streetcar and railroad museum dedicated to the preservation of electric streetcars, railcars, and buses. 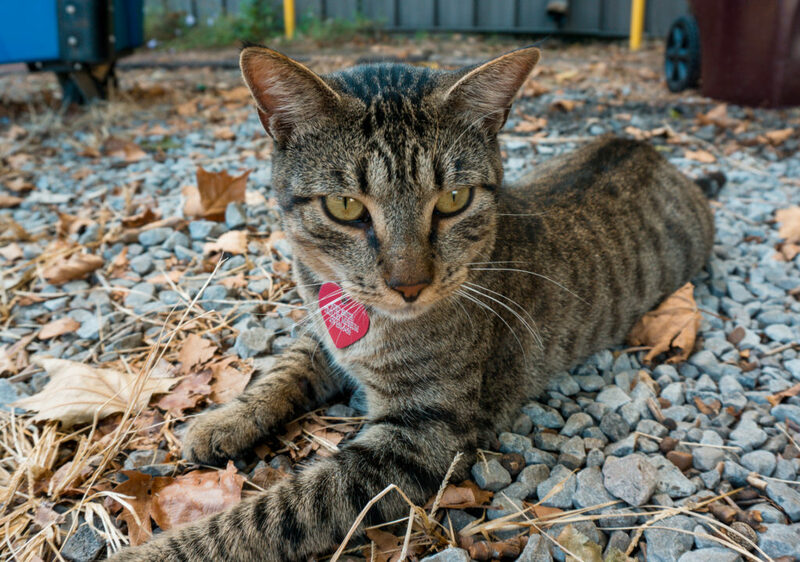 You can still take a ride on the trolley today and enjoy the company of the “Trolley Cats” that are sure to win your heart over. 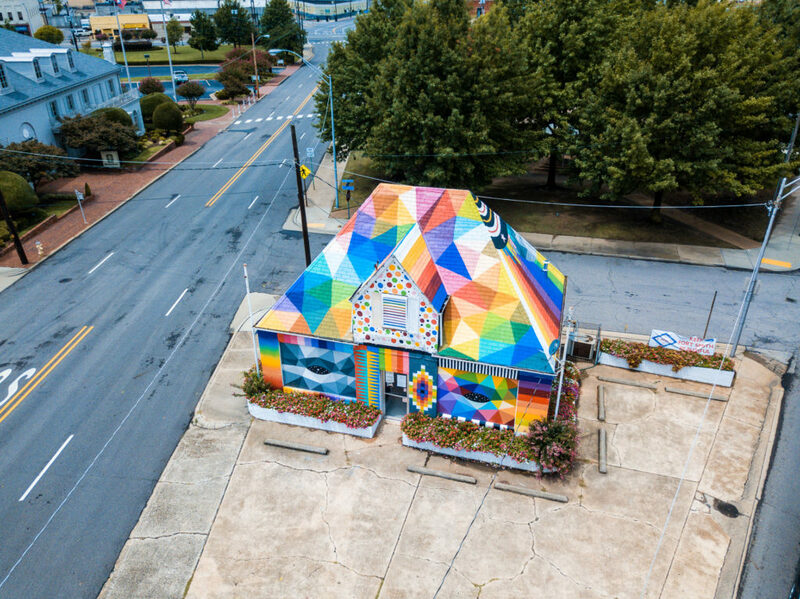 During The Unexpected Project of 2016 Spanish artist, Okuda San Miguel painted the exterior of this building and titled it “Universal Chapel.” Later, world-renowned artist Ana Maria opened it as La Colmena (The Beehive), an art school that offers public and private art classes. Ana Maria stated that she wanted her school to be “a living place for artists where they can create and produce works while contributing to the local art scene as both a group and individual artists.” While there aren’t public classes offered during the weekend, La Colmena is still a place to stop and become inspired by the vivid designs on the building walls. 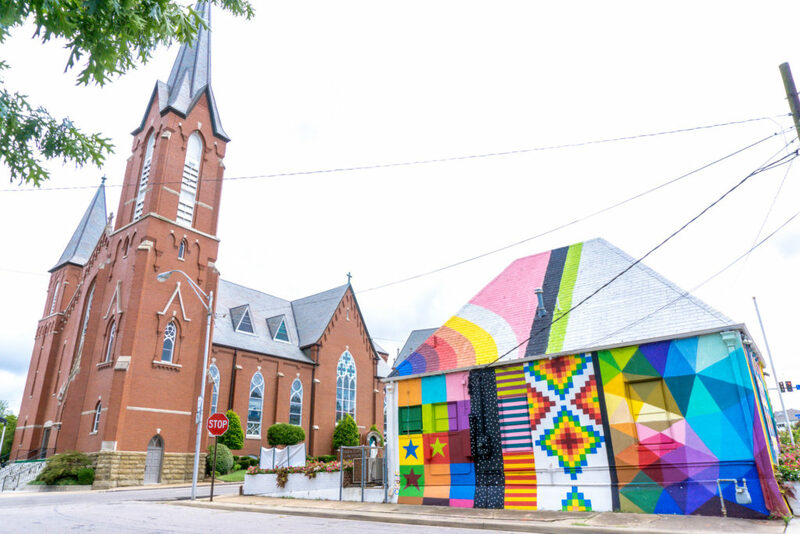 Next to La Colmena, you’ll find Fort Smith’s Immaculate Conception Church, a historic Catholic Parish founded in 1843. 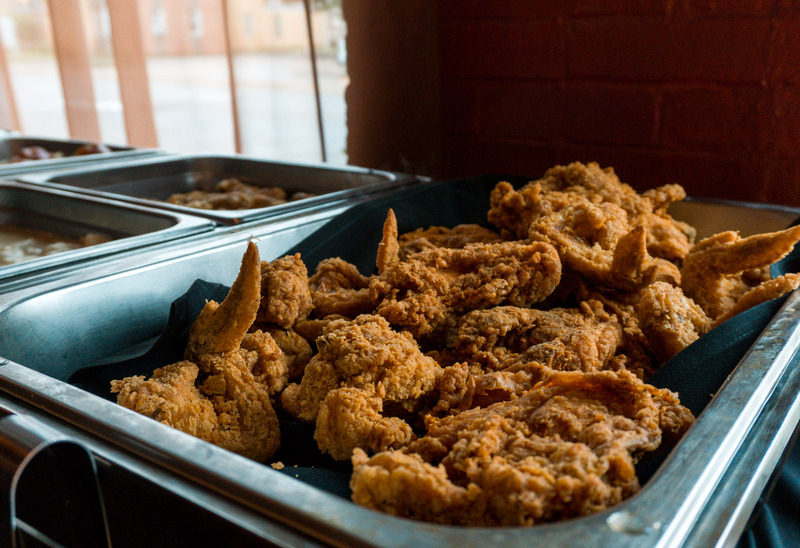 Before we ever visited the area, numerous Arkansas natives would tell us of a famous restaurant tucked away in a quiet corner of downtown Fort Smith. 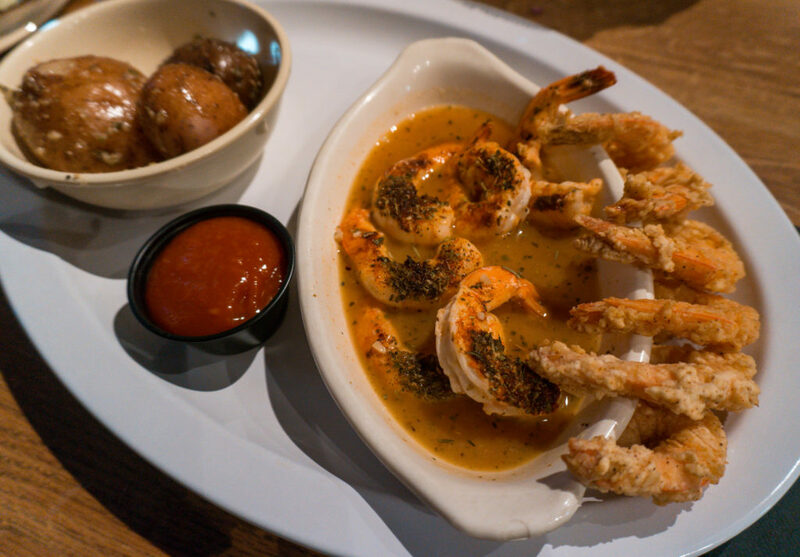 Taliano’s has been a staple in West Arkansas for over forty years. In 1970, Tom Caldarera, Jr. and Jim Cadelli, childhood friends, decided to open Talianos to share their passion for authentic Italian food. Now, the family tradition continues on through Tom Caldarera, Jr. and his son Joe – and let us say, it’s a tradition that will immediately captivate you. 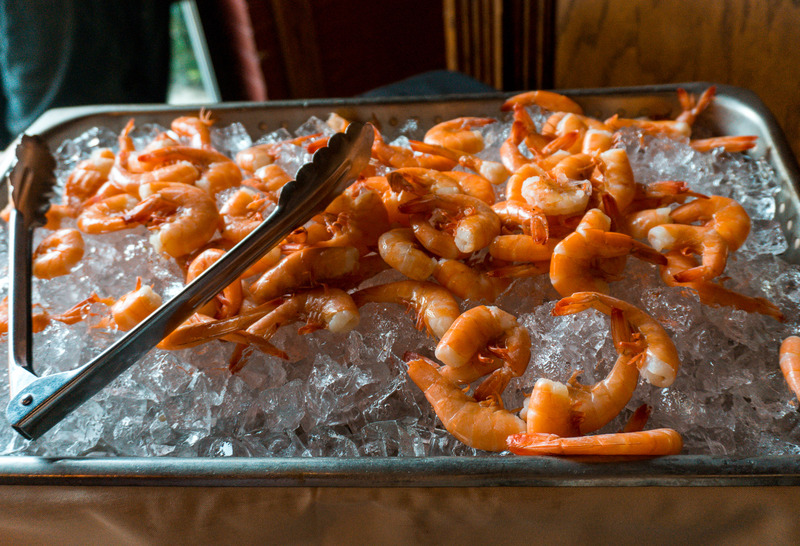 Talianos currently has two facilities, one being their main restaurant (pictured below) and Emmy’s German Restaurant (soon to be The Hall at Talianos) located directly behind the main restaurant, where their Sunday brunch and other events take place. When speaking with Joe Caldarera, he mentioned that prior to being a restaurant, The Knights of Columbus used the hall as an event venue. Ironically enough, Tom Caldarera, Jr. and his wife met at that very hall, prior to opening Talianos. Another added charm? The yellow house you’ll find next door to the main restaurant is where the family lived, and where Joe spent his childhood (also pictured below). 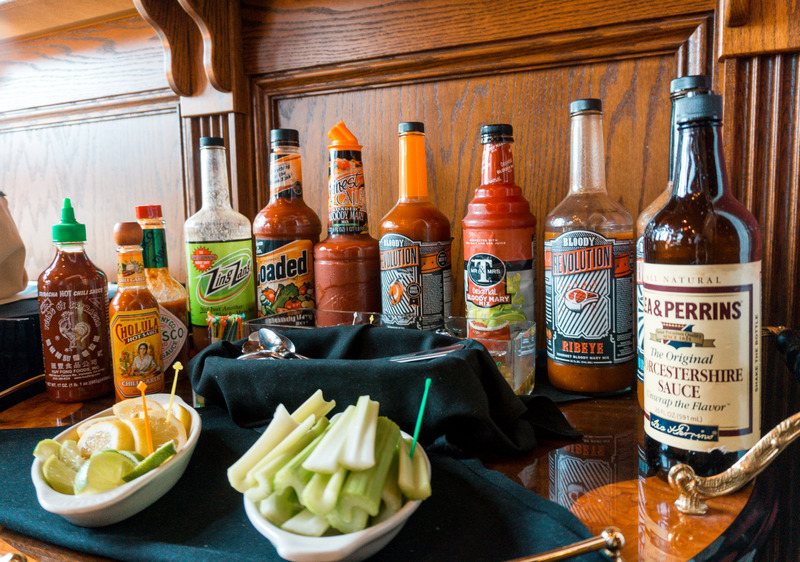 We had the pleasure of having Sunday Brunch at Talianos and were blown away by the vast selection of food and beverages available. 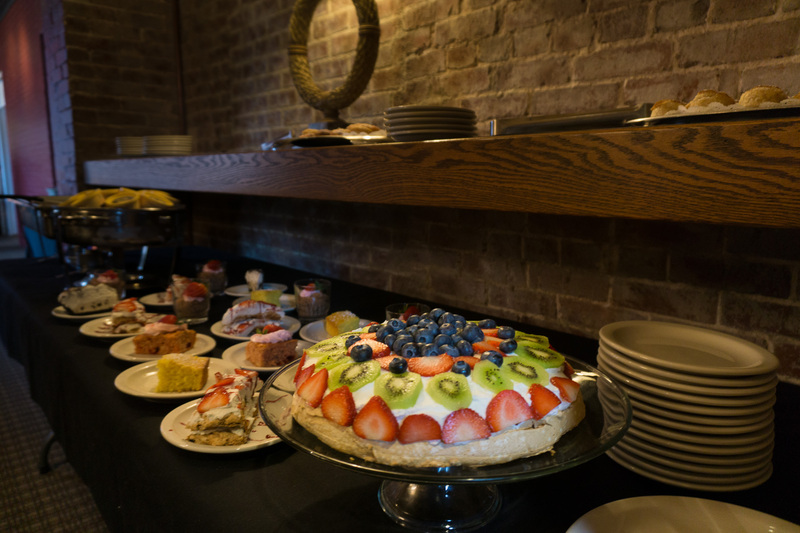 Some of the highlights include bottomless mimosas, a create-your-own crepe station, freshly carved roast beef, mouth-watering fried chicken, and freshly made pastries. In between the moments of bliss as we devoured our food, we took a moment to observe other patrons arriving at the hall. While the food is reason enough to visit, the moments we observed between Joe, his staff, and guests gave us a better insight to why this restaurant is held in such high regard. 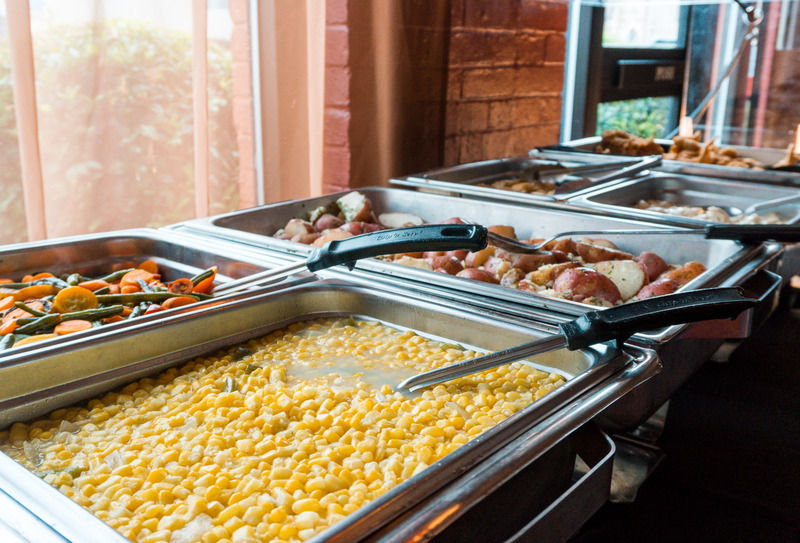 A place where the food is delicious and no one is a stranger, it’s easy to understand why Taliano’s is a favorite of both locals and visitors. 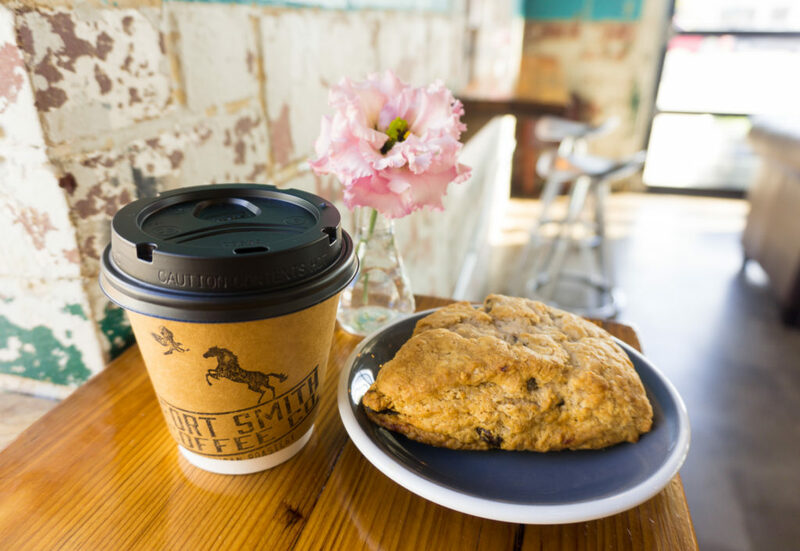 This locally and family-owned is a chic place to stop for coffee, tea, or a baked treat! Not a fan of coffee? Fear not! Fort Smith Coffee Co. also has a variety of local beers available on tap. 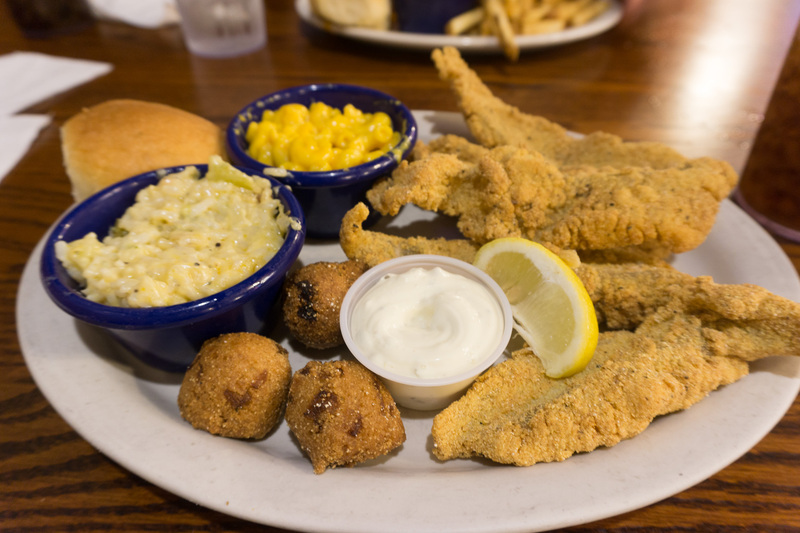 You’ll immediately fall in love with their drop rolls that taste like a fried doughnut, but Doe’s Eat Place is best known for their fresh cut steaks, broiled & fried shrimp and delta hot tamales. 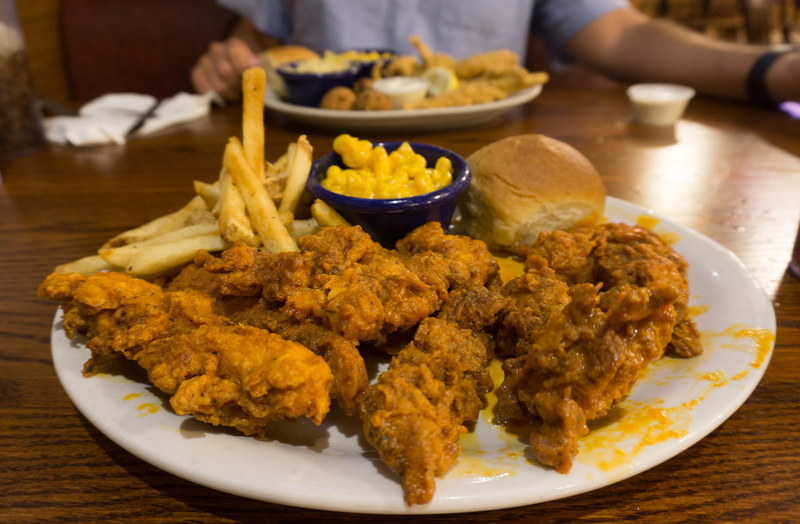 The cooked-from-scratch menu, ample portions, and reasonable prices of traditional American foods at Calico County is a guaranteed crowd-pleaser. 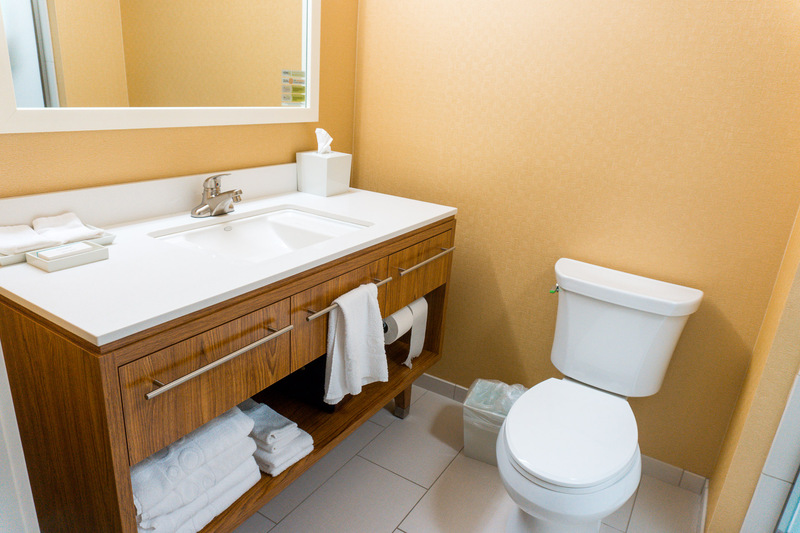 Plus, each guest gets a complimentary cinnamon roll for starters! 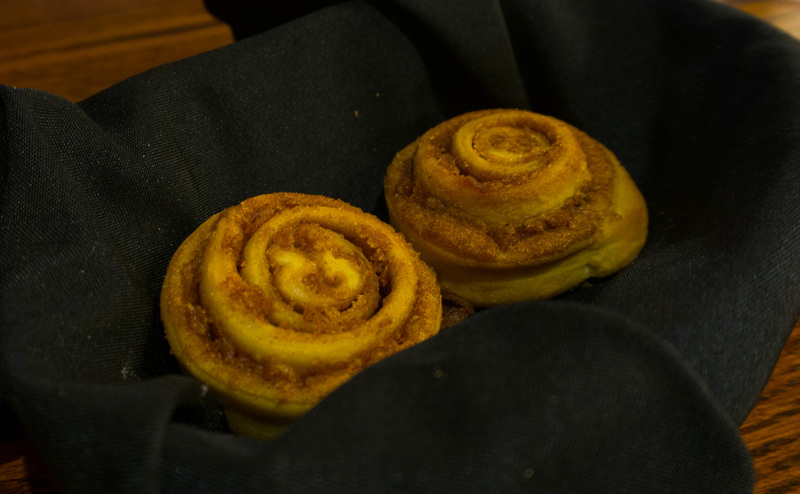 Yes, that’s right… CINNAMON ROLLS. 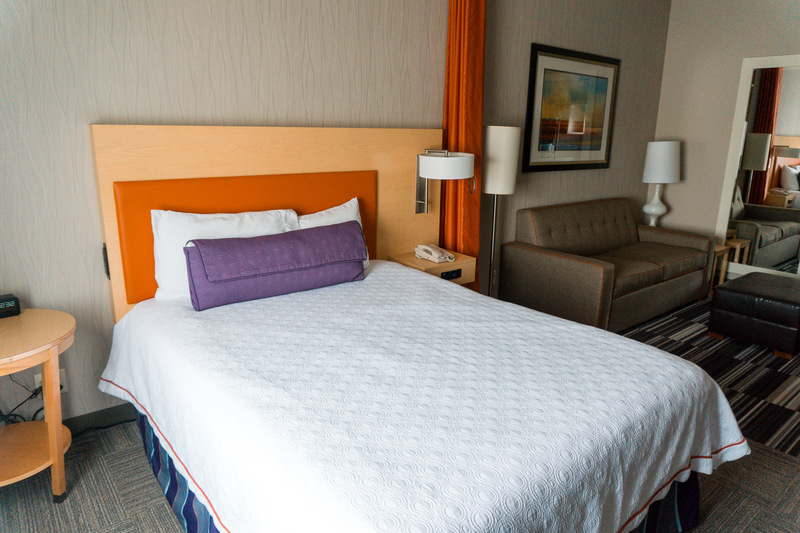 If you’re looking for a comfortable place to stay out of the Downtown Fort Smith area Home2Suites by Hilton should check everything on your list. 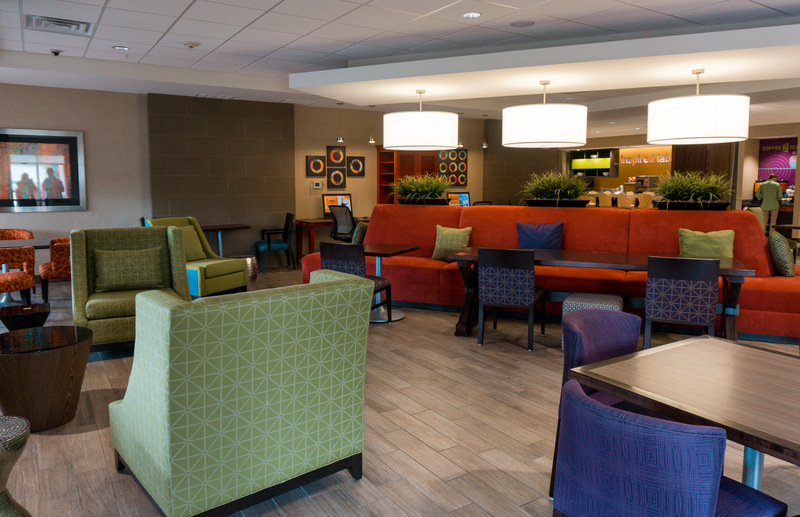 One of the top-rated hotels in the area, Home2Suites is an extended stay hotel that is the perfect location to be close to the airport as well as Interstate 540. 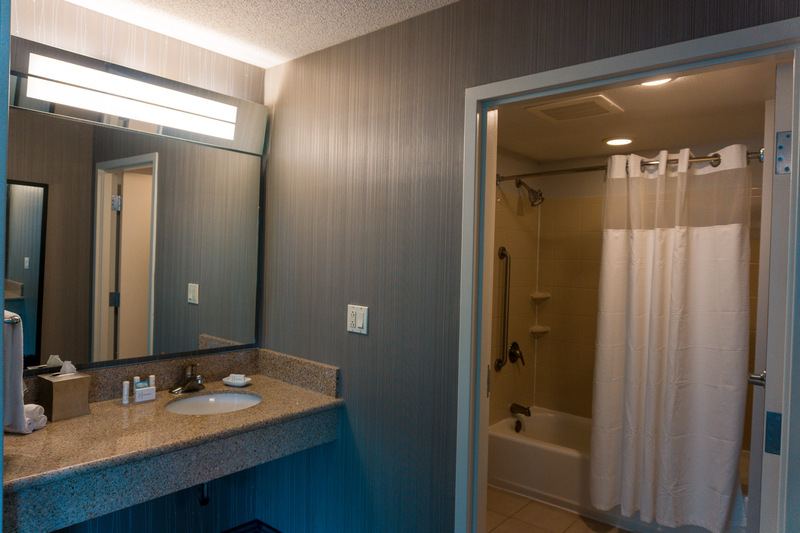 Each spacious room feels more like an apartment and contains a kitchen, large bathroom, cozy bed and living area. 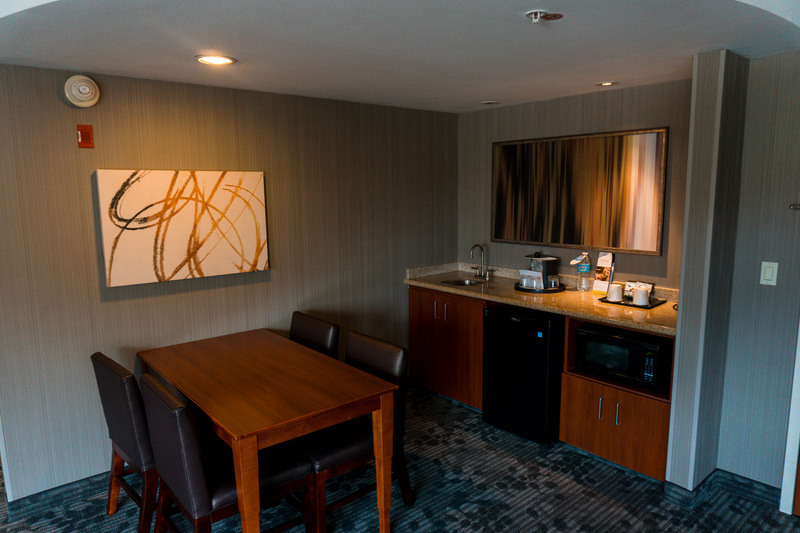 This spacious and relaxing Downtown Courtyard Marriott is centrally located to make all of your downtown Fort Smith experiences within a minimal driving or walking distance. 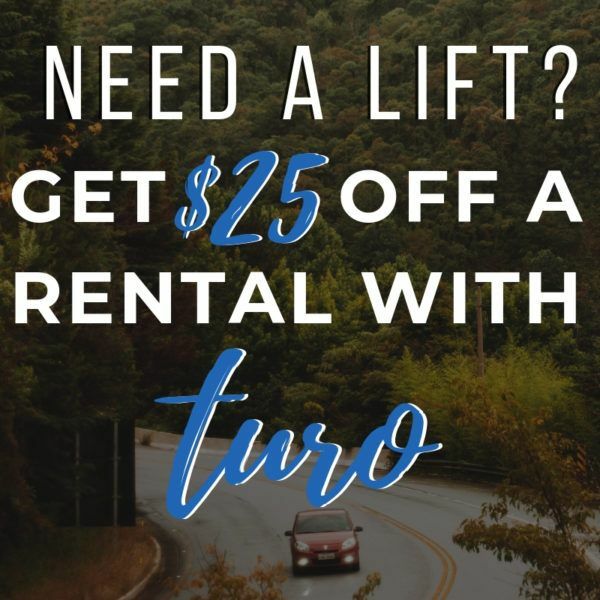 Across the parking lot from the convention center, it is only a block from highway 64 and many of downtown’s amenities. 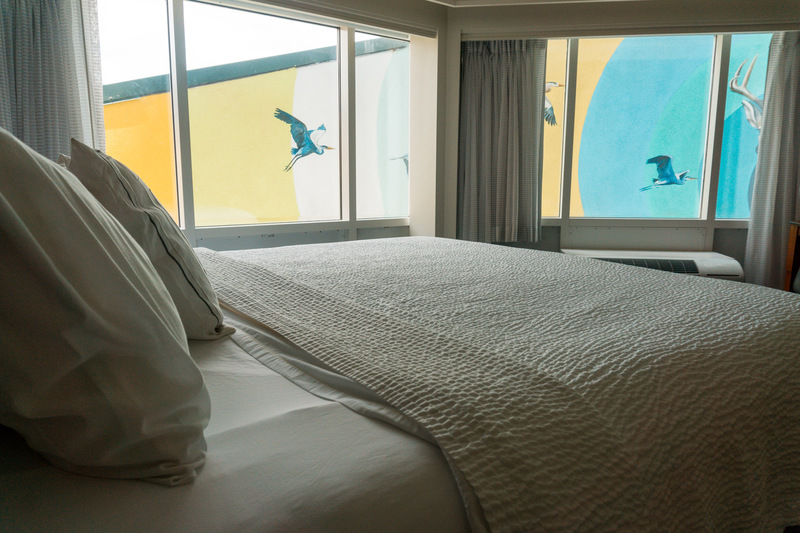 A few of the painted murals downtown by artist Ana Maria are exclusive to patrons staying at the Courtyard, due to being displayed directly outside of select room’s windows. 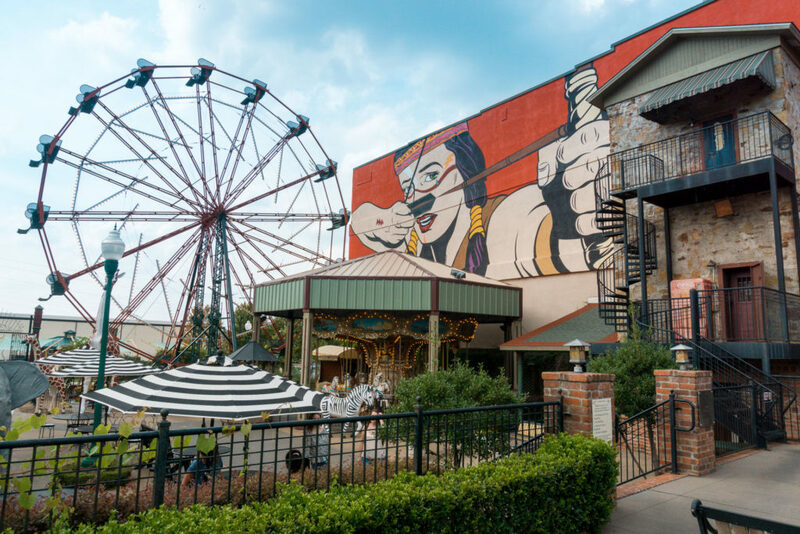 With the history, charm, friendly locals, and exquisite art your experience in Fort Smith is sure to be a memorable one! 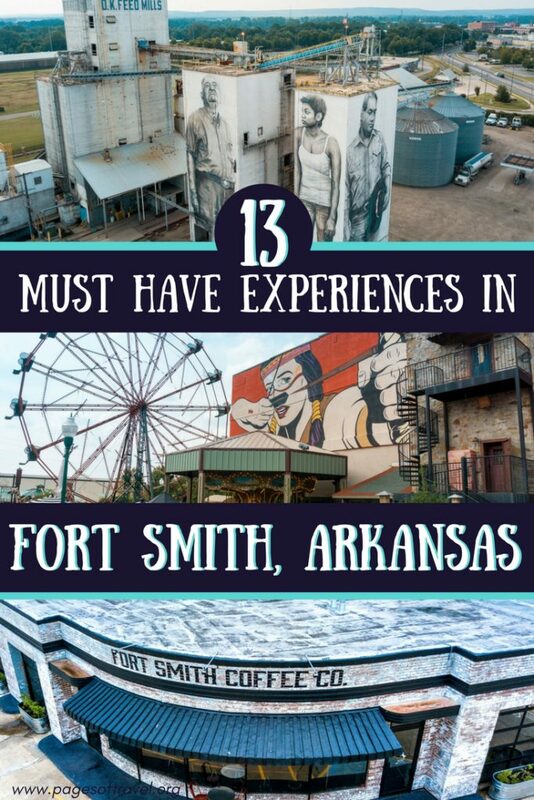 Which of these things to do in Fort Smith, Arkansas would make your list? Vibrant and lively photos! Great job encapsulating the entire experience using words and images. Thank you, Ryan! If you visit Fort Smith let us know what you think. I am always looking for things to do when we visit each state. 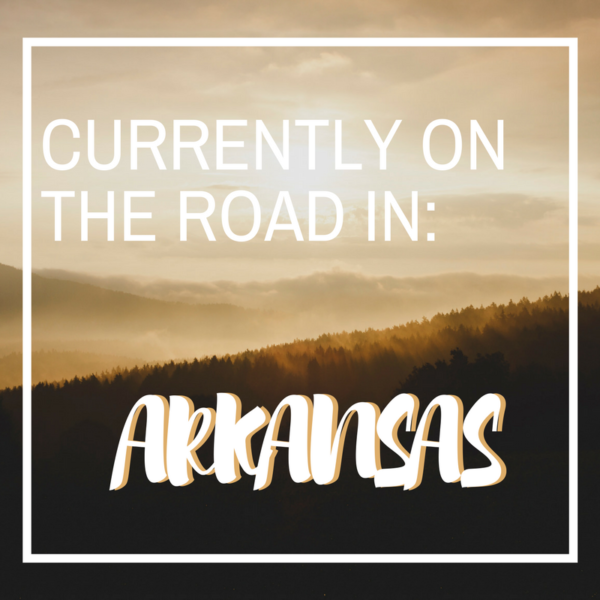 I didn’t have a lot saved for Arkansas, so this is so helpful! I would love seeing all the murals and my husband is a huge history buff, so all the historic sites would be right up our alley. Carousels are my fave; so I will definitely be taking a ride at The Park! I love that you guys like to highlight all the little neat things there are to see in these small(er) towns. 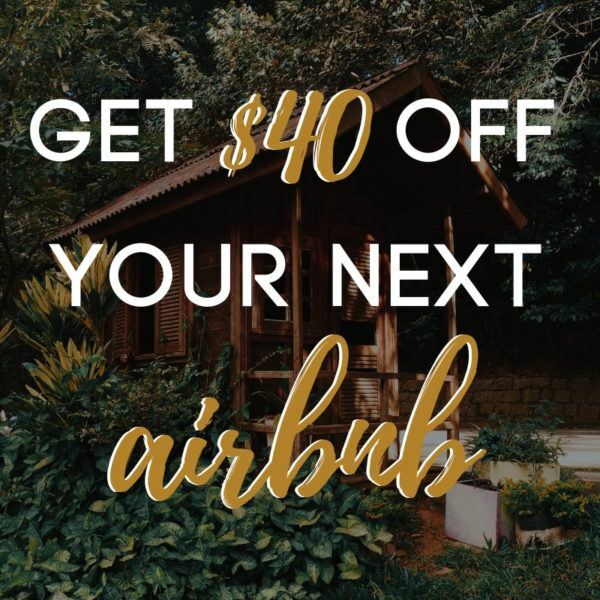 People doing road trips cross country can really get a lot of value out of your site!! I know I’ll be taking a cross-country Amtrak around this time next year, and some of those “flyover state” stops will probably be made a lot more exciting with your help. So thanks in advance! By the way, you saved the best for last… 11, 12, and 13 look like great places to grab a coffee or a meal, respectively :). 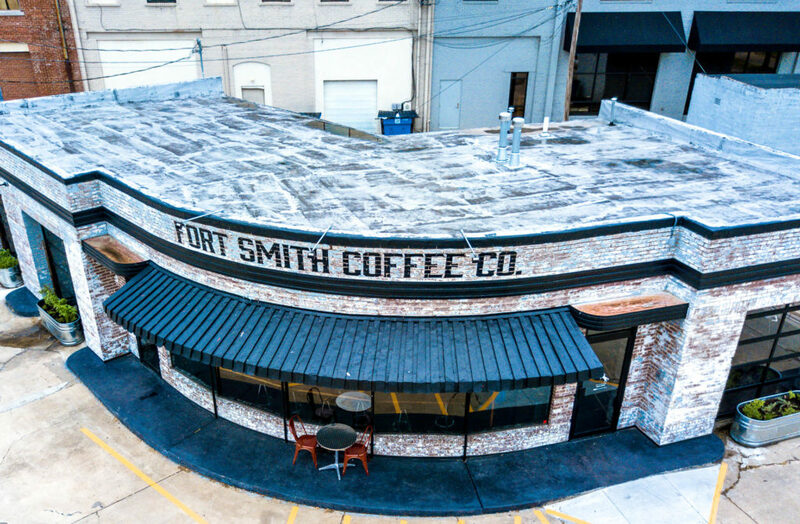 I had no idea Fort Smith was such a cool city! 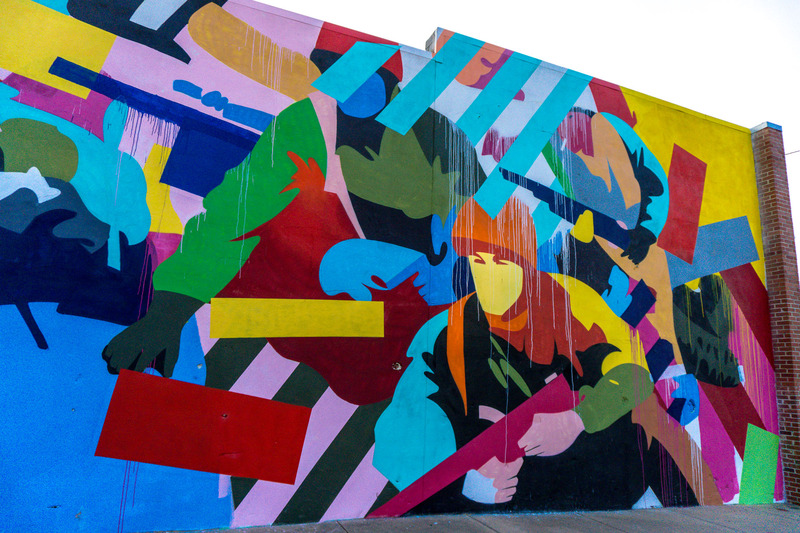 I love that there’s so much history there and that street art is amazing! – love all that color! 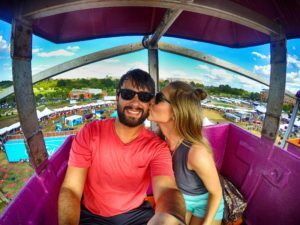 It was our first time visiting Fort Smith and we were very impressed by all there is to do! There is also some wonderful hiking at nearby Devil’s Den State Park and a few other state parks. La Colmena Art School is what caught my attention the most. I have been to Arkansas before but have done none of this. Great tips! 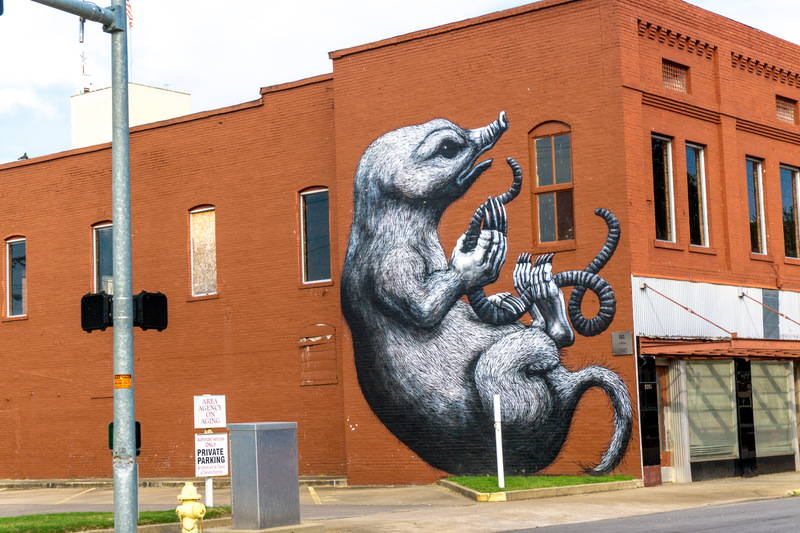 You’ll have to check out Fort Smith on your next trip to Arkansas, Victoria! La Colmena Art School was definitely an intriguing building. 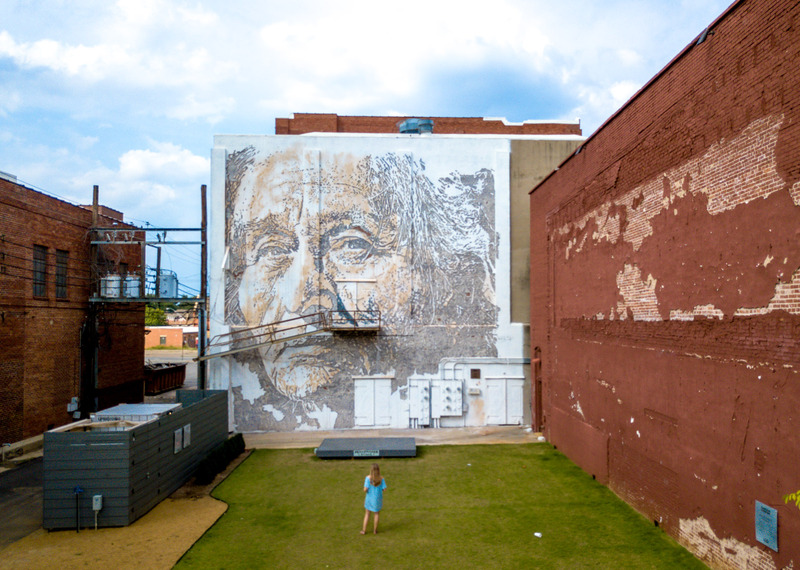 I loved the Unexpected Murals Project! 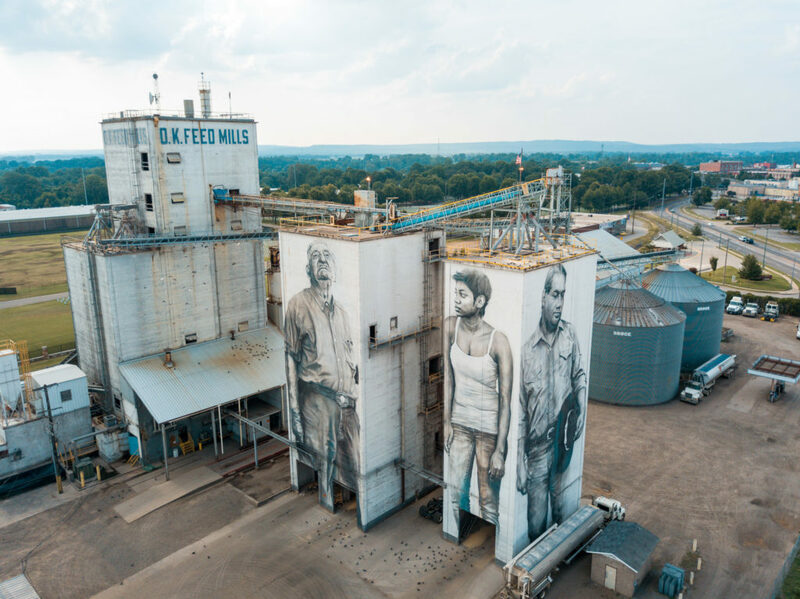 The Mill portraits especially are amazing and not something you’d not expect from smalltown USA. We were rather impressed by murals on the mill as well! 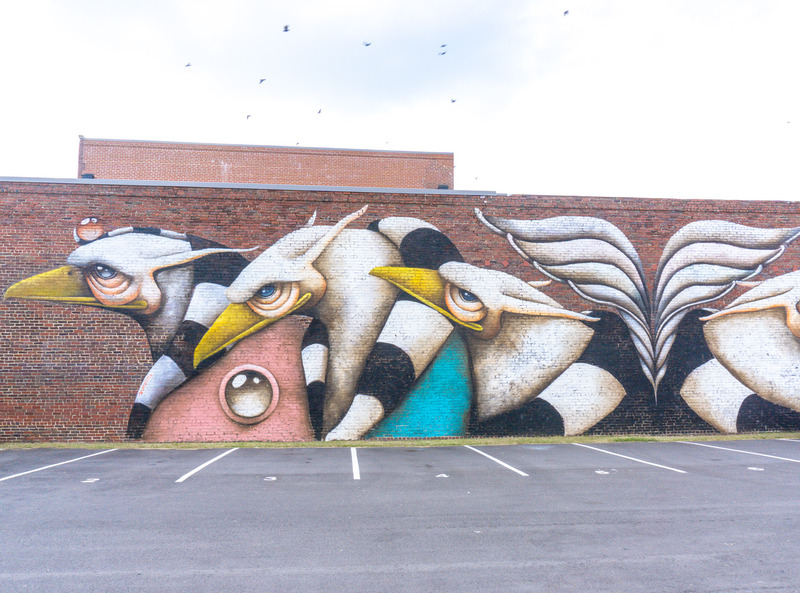 Fort Smith is really trying to vamp up their downtown area and one way they’re succeeding with this is by hosting the Unexpected Murals Project. You’ll have to visit someday! We are art lovers and we are opened to different types of art so we’d like to explore the murals area you suggested at the point 2. Fort Smith looks so interesting! I can’t choose, I would love to see all of them and bring my friend that just finished her law degree. I think she would love to visit the Clayton House. 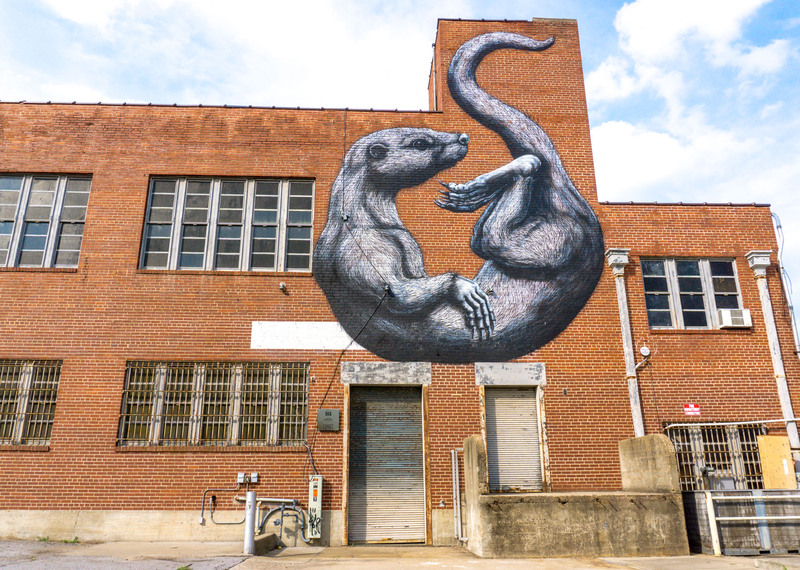 I also love the street art! Just amazing. Thanks for stopping by Marlies. It is quite an interesting town with rich history. I hope you get the chance to visit sometime!